Can I set an expiry date for the codes? 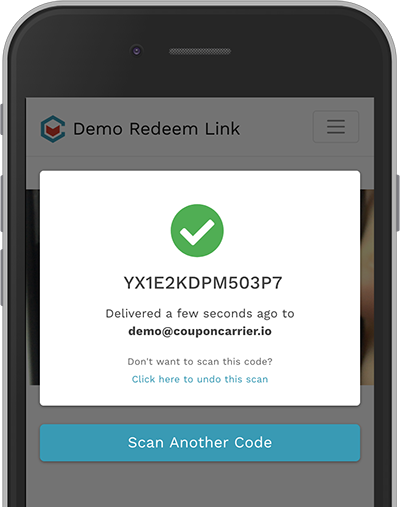 In this case, we want to have Coupon Carrier generate new random codes automatically for each recipient. 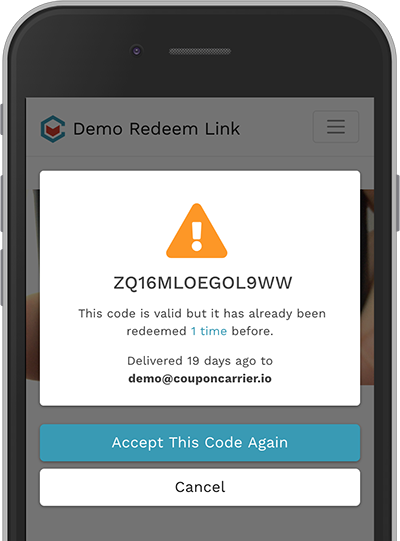 To do this, we can create an autogenerated code list and choose Coupon Carrier as the generator. After that, you have a couple of options to further set up your code list. At times it might be desirable to set a maximum number of generated codes. You do this by checking the Generate a limited amount of codes option. You set the maximum number of codes this list should generate. Remember, more than one configuration can use the same code list. If you want to limit one configuration to e.g. 1500 codes, you should create a code list for just that configuration. You may also set a Discount prefix to all generated codes if you want to further describe your codes. In our example we've put 15OFF as a prefix and all the codes will then be generated with this text before the unique code. Compatibility is based on the devices web browser. Chrome 62 or above is required for Android devices. In IOS only Safari is supported. Log in with the password presented under Scanner password in your configuration settings. Note that every configuration has its own password so you can't validate and redeem codes from configuration B if you've logged in with a Scanner password from configuration A. When you've successfully logged in, you must grant the site access to the device's camera. When a code is successfully scanned and validated the following screen will show you some information about the code. You also have the option to undo the scan. If you scan a code that has been scanned before you will get a warning message. You can then choose to accept the code again or decline it by canceling. You can click the "1 time" link to see the details of the previous scans.